During an eventful season at Bath, young, naive Catherine Morland experiences the joys of fashionable society for the first time. 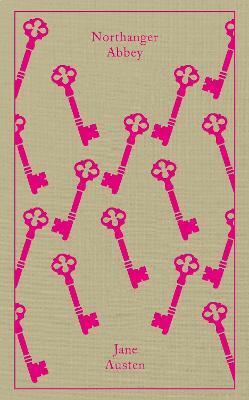 She is delighted with her new acquaintances: flirtatious Isabella, who shares Catherine's love of Gothic romance and horror, and sophisticated Henry and Eleanor Tilney, who invite her to their father's mysterious house, Northanger Abbey. There, her imagination influenced by novels of sensation and intrigue, Catherine imagines terrible crimes committed by General Tilney. With its broad comedy and irrepressible heroine, this is the most youthful and and optimistic of Jane Austen's works. [Coralie Bickford-Smith's] recent work for Penguin Classics is...nothing short of glorious -- Anna Cole Co.
Jane Austen, the daughter of a clergyman, was born in Hampshire in 1775, and later lived in Bath and the village of Chawton. As a child and teenager, she wrote brilliantly witty stories for her family's amusement, as well as a novella, Lady Susan. Her first published novel was Sense and Sensibility, which appeared in 1811 and was soon followed by Pride and Prejudice, Mansfield Park and Emma. Austen died in 1817, and Persuasion and Northanger Abbey were published posthumously in 1818.